It’s frightening how much expectations for customer service have grown over the past few years. 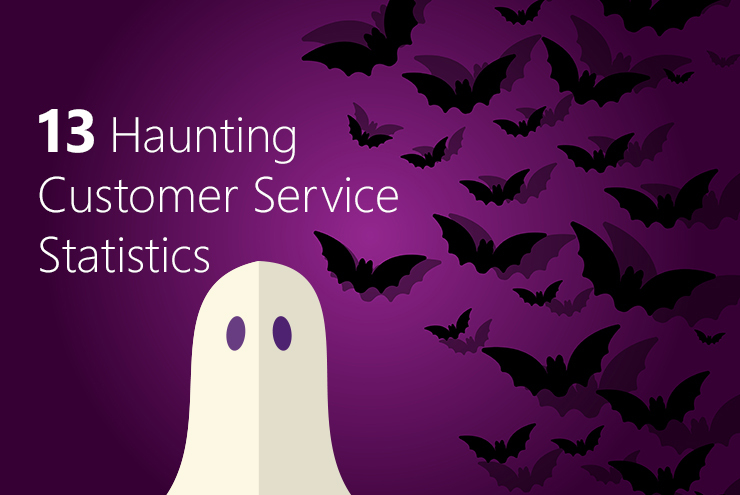 With more and more technology at their fingertips (and more amazing consumer experiences being presented each day), customers are looking for service and support so personalized, proactive and predictive that it’s downright scary. But behind the scenes, many customer service agents are still having to work with a Frankencloud of siloed technologies that doesn’t give them the information or the means to impress – or sometimes even satisfy – the customer. 13. The 2016 Dimension Data Global Contact Centre Benchmarking Report shows that contact centers’ top four technology challenges are (1) integrating multiple systems, (2) legacy systems inhibiting flexibility, (3) pressure on resources and (4) budget burdens. But according to the Economist Intelligence Unit Creating a Seamless Customer Experience Report, 45% of consumers say a lack of interest in customer satisfaction is the biggest obstacle preventing companies from providing the ideal customer experience. Only 14% of consumers believe it’s inadequate technology. To access the full Microsoft 2016 State of Global Customer Service Report, which surveyed 5,000 consumers across Brazil, Germany, Japan, the United Kingdom and the United States on their customer service expectations and preferences, click here. Tricia Morris is a Senior Product Marketing Manager at Microsoft for Microsoft Dynamics 365. Tricia promotes Microsoft's focus on digital transformation, customer experience and customer service. She has been named to the 2016 20 Customer Service Influencers You Have to Follow on Twitter, 2016 20 Best Customer Experience Blogs That You Must Follow and 2016 ICMI Top 50 Customer Service Thought Leaders lists. What a perfect way to get into the Halloween holiday spirit! Thanks, Tricia, for some great stats and facts. BOO!